Security sector reform (SSR) and mine action share a strong common conceptual basis, which draws from a shared understanding of security. They both reflect a conceptualization of security that is not limited to the level of the state, but takes into account security threats and needs at societal and individual levels. This common basis provides opportunities for synergies between SSR and mine action. However, empirical evidence demonstrates that the strong conceptual basis is not fully reflected in concrete activities, and the linkages remain limited and underexplored. Despite this gap, there are positive examples showing the potential for synergies between SSR and mine action. 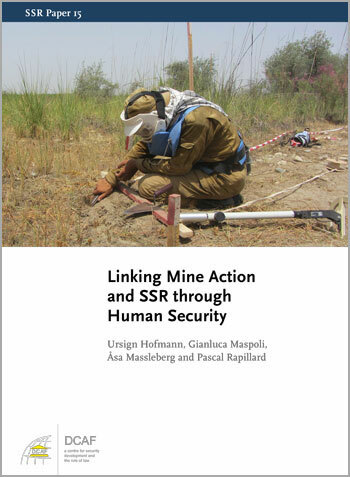 Ultimately, this paper maintains that the concept of human security provides a comprehensive framework which can bridge the differences and open broader opportunities for cooperation, which in turn will increase the impact of interventions in SSR and mine action.